Search For "Pharmaceuticals" Companies in Philadelphia, Pennsylvania - Click Here Now! Restore Is A Massage Lover's Oasis Located In The Heart Of center City Philadelphia. The Focus Is On Providing Clients A Therapeutic Escape From Everyday Stress With Relaxation And Restorative Bodywork. Our Spa Offers Assage Services Which Include Swedish, Deep-tissue, Warm-stone, Sports Healing And Preventative Methods Of Alternative Healing. Our Goal Is To Offer Professional, Memorable Experiences Performed With Comfort, Passion And Presence. 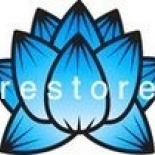 Restore Massage in Philadelphia is a company that specializes in Medicinals & Botanicals. Our records show it was established in Pennsylvania.